With so many amazing gadgets to enjoy these days, its easy to feel like current generations are a lot smarter than our forebears. I never cease to be amazed and delighted by the wonderful electronics, the superb automotive engineering and the endless array of household labour saving devices that we nowadays take for granted. Its worthwhile though, to take a moment now and again to think about those previous generations who laid the foundations of discovery and development upon which most of what we now enjoy was built. Isaac Newton, one of the greatest scientific minds of his age, acknowledged the amazing achievements of his predecessors, when he made the now historic statement “If I have seen farther, its because I have stood on the shoulders of giants.” The giants he was referring to were people like Galileo Galilei, who made profound discoveries about the laws of motion by rolling ball bearings along channels in planks of wood. Newton conceived the idea of satellites, hundreds of years before they became a reality, via which much of the world’s communication is made possible. I have a few other old gizmo’s around here …. a wind-up portable gramophone from about 1925 that still works perfectly, despite having been singed in a house fire and a Hohner button accordion that was already old when my Dad tried to teach me to play a tune on it as a small boy (I’m pushing sixty now). It still plays every note perfectly. I have to say though, nothing else that I have, fills me with such a sense of reverence for our ancestors, as does this sewing machine. I wonder how many of our technologically superior devices will still be working perfectly, performing relevant tasks and looking beautiful in a hundred years time. 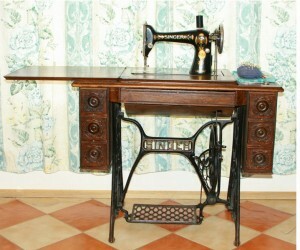 I’m guessing that, accidents notwithstanding, my old sewing machine will be! Hope you enjoy the photos. 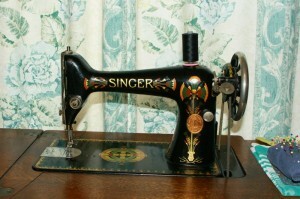 I enjoy restoring the old singers too. Hi Dama and thank you for your comment. One of the dangers of vintage sewing machines is their ability to cause a strange metamorphis in people who are attracted to them. 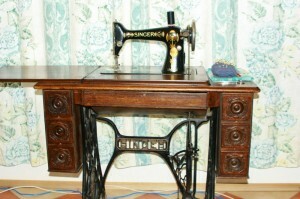 We start out just looking for a cool old machine to sew on …. and then, without even realising it, we morph into collectors. There are people out there who have amassed literally hundreds of machines. My advice is that people keep sight of their own goals. 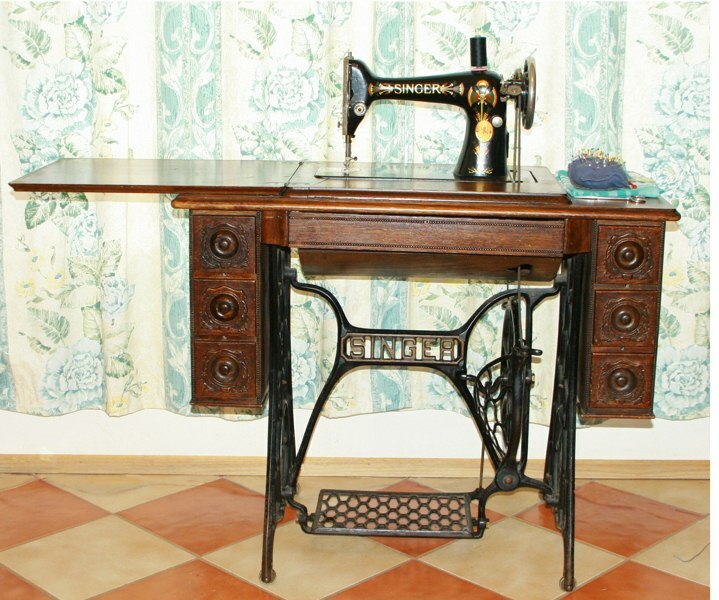 If you are into sewing and would like to use a beautiful older machine, it makes sense to buy one that is already in outstanding original or nicely restored condition. If the restoring itself is your thing, you might prefer to get a roughy and bring it back to life yourself. I restore my machines, only to make them tidy and mechanically as perfect as I can. Its the using them, that does it for me. Thanks so much for taking the time to leave a comment. So few do.